Only one more day of $10.00 CDs...Place your order TODAY! I love this sweet little technique. When done right, you end up with a gorgeous sparkly background that can be used with almost every greeting! The Glitter Stripes technique is from the April 2009 issue of the Technique Junkie Newsletter, and it is one of the 100 tutorials on CD 7. All of the TJ CDs are on sale for only ONE MORE DAY for $10.00 per CD (plus actual postage to your location). Each CD contains between 75 and 100 tutorials in step-by-step pictorial fashion, as in this example HERE. 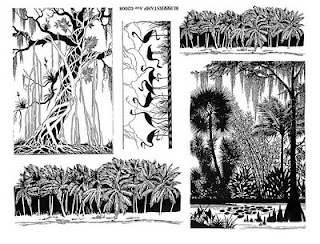 Each are printable to 8-1/2" x 11" paper and each has all of the gorgeous artwork examples from the Technique Junkie Design Team. The full list of what is on each of the 7 CDs is HERE. It is easy to spend over $10.00 for one or two stamps -- why not spend it on inspiration, instead? Email me for an invoice - but HURRY! This sale ends June 30th and will NOT be extended. There's nothing like a tropical paradise to brighten your day, is there? Today's giveaway will do that for one lucky winner. The stamps for the giveaway this week are from Rubberstamp Ave. -- and everyone can share in the fun, because RSA is generously offering a 10% discount for TJ members, too! 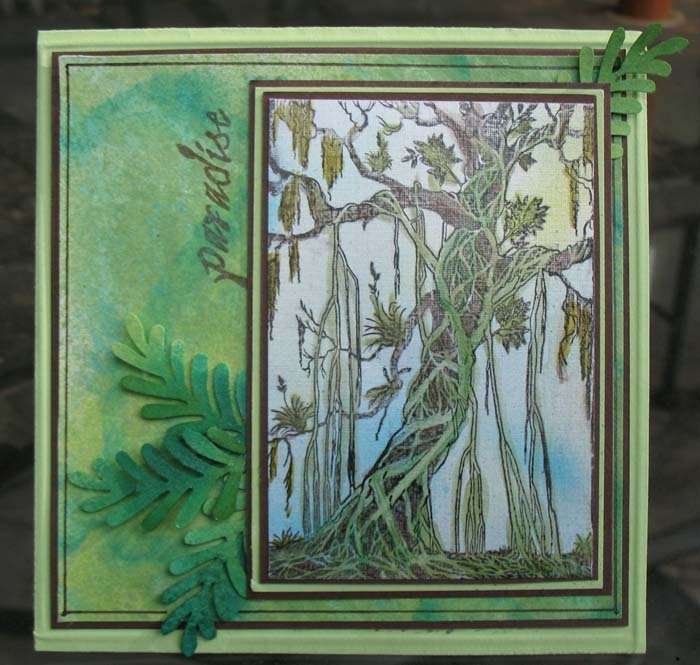 The card above uses the tropical paradise stamps with a Glimmer Mist Marbling background (June 2010 issue of the Technique Junkie Newsletter). 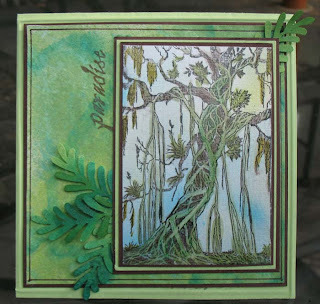 The image itself is stamped on luscious Cryogen White Iridescent paper from Paper Temptress. I colored the image with Copics AND colored pencils, and used an airbrush to add wisps of color to the background. 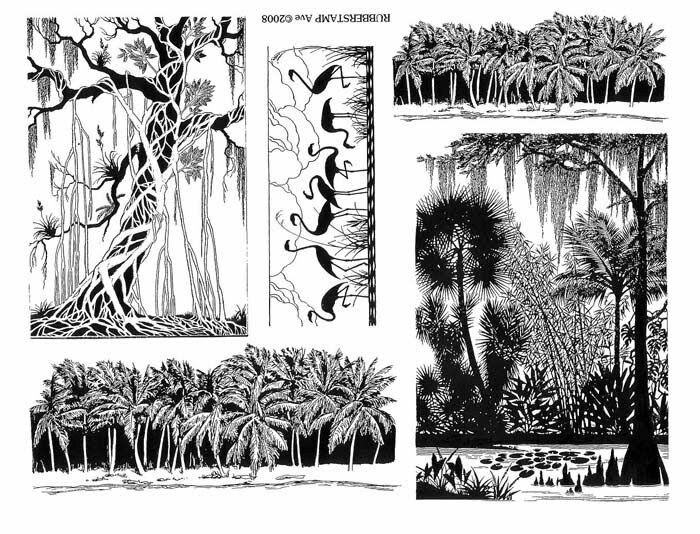 (The Crygen white paper is amazing -- it keeps the integrity of the image while providing a gorgeous satin shimmer.) The punched leaves on the sides have also been spritzed with Glimmer Mist. No, it is easy enough to enter to win this stamp sheet and card. Simply leave me a comment with your email address, and let me know how YOU would use this sheet. Naming a technique to use with it is also good! My trusty random number generator will select a winner from all the entries on Monday, June 21st at 9am est. You do NOT need to be a Technique Junkie to enter or win. Good luck! 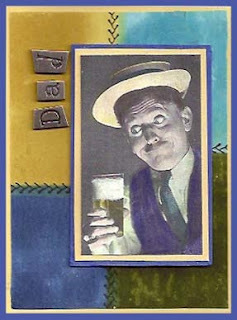 I made this card for my Father-in-Law for Father's day. I was browsing through the Twisted Papers website and found this totally fun image -- how much fun is that? My FIL is not a card-lover -- he really just throws them aside -- so technically I made this for me and the other people who will be around when he opens it on Sunday. I DO think he will appreciate the image, though! 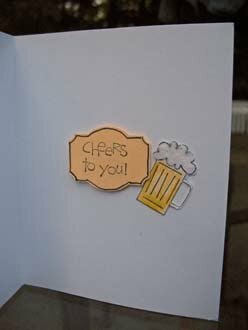 and I couldn't resist adding just a bit of flocking on the foamy top of the beer glasses, both on the front of the card and inside. Oh -- don't forget that Technique Junkies receive 50% at Twisted Papers with the code TJ50 until July 31st, too! Cheers to him -- even though he is not a card-lover, he is a GREAT father-in-law -- and I adore him! Today's Blogger's Challenge was to make a graduation card. Simple, right? Well, not so much when you realize that your supply of graduation stamps consists of ONE measly graduation cap stamp! Me, the woman with 10,000 stamps...one graduation stamp. I decided to make Cricut letters and decorate them using the Cricut and Stamp Technique from the June 2010 issue of the Technique Junkie Newsletter. I took it a step further than the directions, too, and highlighted the texture on teh Cricut words. 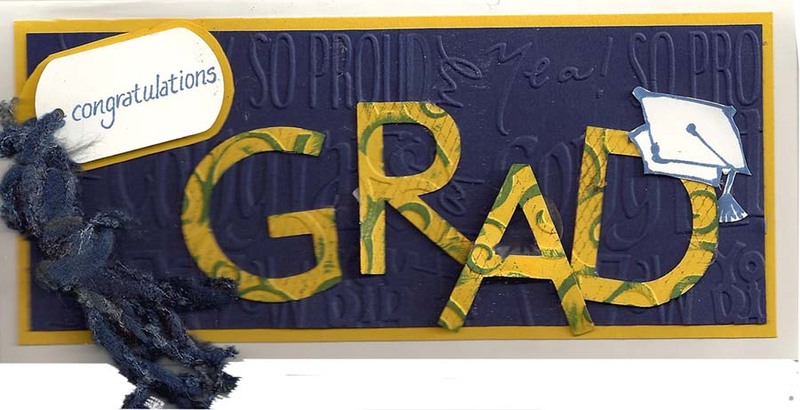 The "tassel" was made from yarn, and the background was cuttlebugged with the congratulations embossing plate. I also Popped the "A" to give it more interest. Overall, I think it turned out pretty good for only having one "official" stamp! The Graduation Cap is a stamp from VAP (one of the Michael's Dollar Stamps), the Congratulations Stamp is from AMuse, and teh Grid Stamp on the letters is from Judikins. Make sure to check out the other Blogger's Challenge Player artwork -- the link is on my blog sidebar. A slew of insanity in my life has prevented me from posting the Weekly Giveaway for the past two weeks, so I am thrilled to be able to offer it today. I am finally getting back on track...so expect to hear from me often! 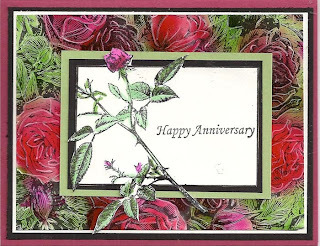 Today I am featuring this gorgeous set of roses from Innovative Stamp Creations. The set features one large background stamp of roses -- which is just perfect for the Background Whimsy Technique (one of the new Techniques in the June 2010 issue of the Technique Junkie Newsletter). My card features the Background Whimsy Technique using the Copic Marker Method. 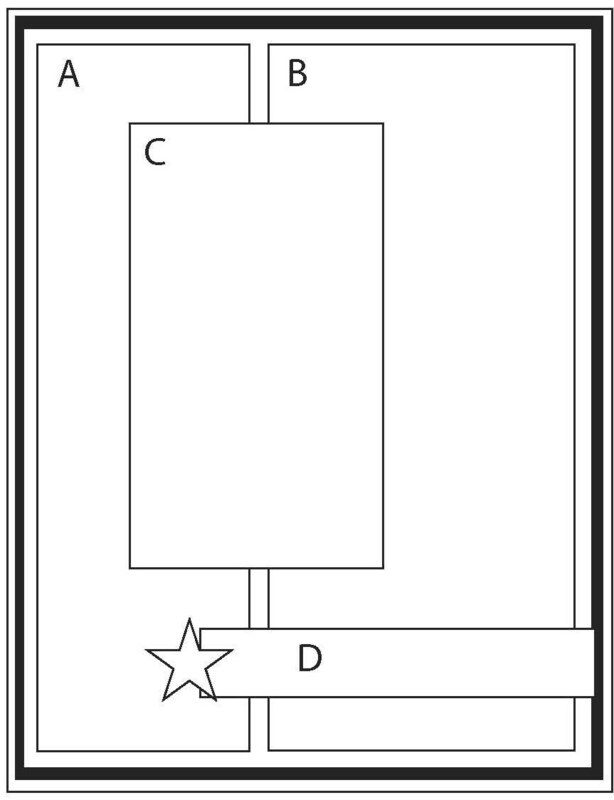 the top panel also sports the Out of the Box Technique (October 2004 issue). If you would like to receive these elegant stamps and the sample card, simply post a comment to this thread by Monday, June 7th. Make sure to leave me enough information to be able to contact you via email. My random number generator will select one winner amongst the comments. Good luck! The winner of this giveaway is Theresa Romani. Congratulations, Theresa! Our Second Annual GIANT CD Sale! All Technique Junkies CDs are only $10.00*! You can order one, you can order two...you can order all 7! Your choice. You pay only $10.00 per Cd plus shipping to your location. Now you can catch up on all the past tutorials. Step by Step directions with pictures for each step...all of the TJ Design Team artwork to inspire you to try the techniques...and all in a printable pdf format that is easy to use! Each Cd contains one full year of tutorials PLUS 10 extra bonus techniques. There are from 75 to 100 techniques on EACH CD! Great for yourself, for gifts...and ANYONE can order these, subscribers and non-subscribers alike. Spread the word, but HURRY! This sale WILL end 6-30 and will NOT be offered again until NEXT June! Email me for a quote that includes shipping for the CDs you would like to order. I accept PayPal, Checks, and direct Credit Card Payments. Welcome to the June 2010 Technique Junkie Newsletter Blog Hop! Today we are celebrating the June issue of the Technique Junkie Newsletter, and the newest Technique by Design Sketch included within. If you arrived here from Gerrie's Blog, you most likely have seen all of the gorgeous artwork from the design team using the sketch, but if you haven't, you may want to restart the hop by jumping over to the Technique Junkie Design Team Blog. 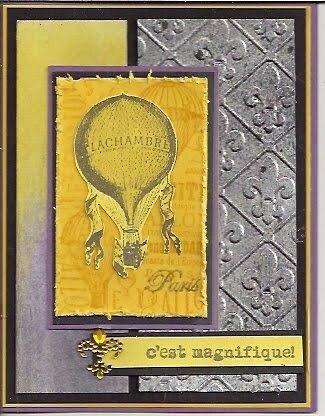 My card uses the sketch with two of the techniques in this new June issue: Faux Metal and Pulled Glmmers. I think these two easy and versatile techniques will become two of YOUR favorites! If you are a TJ subscriber, you probably know that the step-by-step picture tutorials and the sketch are accessible right now with your password. Just click HERE, enter your user name and password and check out the sketch dimensions -- AND the other 15 techniques that this issue contains! Now it's YOUR turn to try out this sketch. 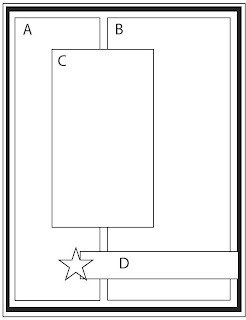 Simply create a card using the sketch in this issue and post it to the TJ Yahoo group or email it to me directly, if you are not on the group. One card will be selected from all of the cards submitted (using my handy random number generator)on July 15th. The winner will receive a free year of the Technique Junkie Newsletter PLUS a $25.00 gift certificate from one of our featured vendors in the June Issue -- the vendor of your choice. Whether your wish is for stamps, paper, supplies or digi downloads, our advertising partners have you covered -- and you can choose your own prize! Make sure to use ONE of the June technique on your card to be eligible for entry. You may submist two seperate entries for the drawing, but each must use different techniques on them. You must be a Technique Junkie Newsletter to play. I can't wait to see what you create!